I've heard him say this countless times. I never get tired of hearing it. I look forward to it. John Batchelor's introduction is literally Pavlovian. I eagerly await what comes next. John Batchelor announces the show himself. It's like being served by the master chef. There's a measure of humility that permeates everything he does. His introduction conveys a measure of grace and dignity very rarely seen these days. He is classy and classic all at once. "What are we to make of this?" Surely we've learned from history. "President...Conference of Major American Jewish Organizations." John Batchelor, Malcolm Hoenlein, and Thaddeus McCotter form an intimidating tribunal. They are three very wise men. Who but the most knowledgeable, learned, and informed would dare appear before them? And then comes John Batchelor's guests. "A very good day to you!" John Batchelor always greets his guests warmly. You can feel his admiration for them. It is mutual to be sure. His respect for them is genuine. It should be. His guests are the best. They know what they are talking about. They are experts in the subject matter at hand. Their knowledge of the topic is deep and intimate. His guests live and move within the story. In many instances, his guests define the topic. Quite often they ARE the story. John Batchelor's guests are not reporting from a distant, detached, and impersonal perspective. They are on the frontlines. They are reading us into something special. John Batchelor expertly directs and steers the guests to go where he wants them to go. He's after something. It's the story within the story that John Batchelor prods his guests to reveal. There's nothing formulaic here. John Batchelor gets right to it. 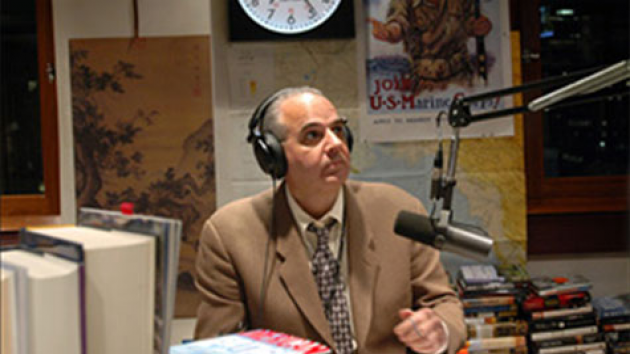 The John Batchelor Show is the most riveting and informative podcast in media. He urges his guest to take the audience to places we've surely never been. There's no predicting where the conversation will go. You simply want to be there. We're climbing the cliff face at Pointe du Hoc with John Batchelor, John C McManus and the 2nd Battalion, 75th Ranger Regiment. German MG42 machine gun rounds pulverize rock all around us. German snipers pick off targets. "Potato masher" anti-personnel grenades rain down from above. Our uniforms are wet with sweat, sea water and, in some places, blood. A Ranger falls. Some of the ropes are too short. German soldiers cut many others. 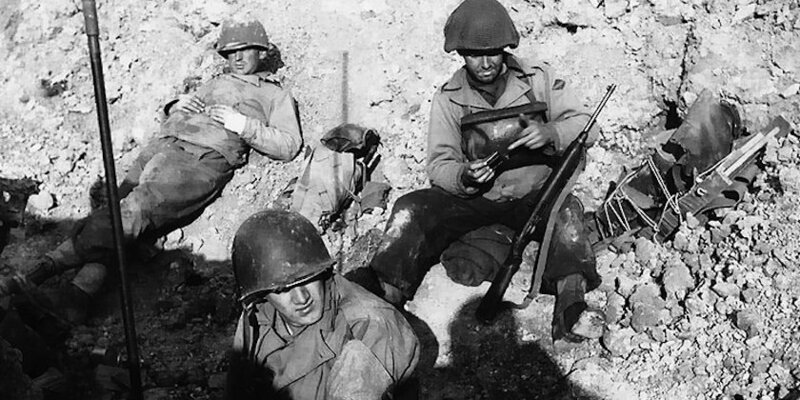 The mission to take Point du hoc is crucial to the 1st Infantry Division landing on Omaha Beach. The big French-made 155mm guns manned by members of the Germany Army's 352nd Infantry Division must be silenced. The odds are that we fail. We must succeed. We're the spear tip of "The Big Red One." We are "The Dead and Those About To Die." It's June 9, 2016 and we join John Batchelor and a few friends in the Trump Tower. A very important meeting is about to take place. We're here to witness "collusion." In walks a very lovely Russian woman named Natalia Veselnitskaya. Of course, she's lovely. By definition, a honeypot must be attractive. She is also a lawyer. Former Federal prosecutor Andrew McCarthy arrives just in time. He informs us that Veselnitskaya is not admitted to the Bar in the United States. She can't fix a traffic ticket. He infers that Veselnitskaya's reason for being here for has very little, if anything, to do with the practice of law. Donald Trump, Jr. is there. Can you blame a son for wanting to help his father become the most powerful person on the planet? No, not really. There's Jared Kushner. He's married to Donald Trump's daughter Ivanka. He is a good son-in-law. Aside from that, if Donald Trump wins election, Kushner stands to land a plumb position in the West Wing. Why wouldn't he want to get dirt on Hillary Clinton? Why wouldn't he want to help his father-in-law in the effort to become the 45th President of the United States? There's Paul Manafort, Trump's Campaign Manager. But wait! We're told that Paul Manafort is ALREADY colluding with Russia? We're told that Manafort is a Russian agent based on his travel and business dealings in....the Ukraine. Wait! What? Russia collusion in the Ukraine? If so, why would Manafort need a meeting at the Trump Tower to get intelligence from Russia's "Crown Prosecutor." Russia has a "Crown Prosecutor?" Why not get the dirt on Hillary directly from his supposed Russian handler? The Russians are here. Again, seated at the conference table is the Russian "lawyer" Veselnitskaya. There's also Rinat Akhmetshin, a former Soviet counterintelligence officer, seated at the conference table. Not to worry, he's just a lobbyist now. Far behind him are the cloak-and-dagger days of Cold War espionage. He's become an American citizen aferall. Life is good. Also in attendance is music publicist Rob Goldstone. That's odd. Why is a music publicist involved in a very high stakes game of political intrigue? There's a man named Anatoli Samochornov. He has ties to the Obama State Department. He is Veselnitskaya's "translator." Did it occur to anyone that Natalia Veselnitskaya is fluent in English? Rounding out the "Russian" contingent is Ike Kaveladze, the Vice President of a real estate investment company. Is the meeting also about real estate? Kimberly Strassel turns to John Batchelor. It appears that someone is missing. There's an unseen hand at work. Yet to John Batchelor and friends it is clearly visible. Yes, FusionGPS founder Glenn Simpson isn't here. He and Natalia Veselnitskaya met before today's gathering. Wait! Does Glenn Simpson speak Russian? If Simpson is THAT interested in the meeting, why didn't he simply attended? Better yet, why stage such an elaborate affair? Why didn't Glenn Simpson contact the Trump Campaign directly to offer dirt on Hillary Clinton from the "Russians?" He's an Investigative journalist isn't he? Consider what the Trump Team might have paid Simpson for verifiable intelligence of "Russia-Clinton collusion? Afterall, paying for opposition research isn't illegal. Simpson could've then testified truthfully to Congress saying, "Yes, I provided damaging information on Hillary Clinton I collected from Russian sources to members of the Trump Campaign." A star is born. A star witness for the Mueller Team that is. Simpson becomes a witness with firsthand knowledge of "Russia-Trump collusion." Glenn Simpson to Rod Rosenstein: "Give me full immunity and I will testify regarding Team Trump's efforts to collude with Russians." Check and mate! But no. Glenn Simpson is not in the building. John Batchelor and Lee Smith, of Real Clear Investigations, exchange knowing glances. Something else is wrong here. The members of Trump Team determine very soon that Veselnitskaya has no opposition research, let alone intelligence, on Hillary Clinton's ties to Russia. None! Hillary Clinton's ties to Russian oligarchs has been extensively reported and never refuted. There the revelations in Peter Schweizer's Clinton Cash documentary. The Panama Papers leak, among others, exposed these links. However, Natalia Veselnitskaya has nothing to offer on the subject. She wants to talk about The Magnitsky Act. The members of the Trump Team could care less about The Magnitsky Act. Certainly they care about the plight of orphaned children. The adoption of Russian children by Americans is a political football. It is not, however, a campaign issue in the upcoming 2016 Presidential election. A very significant number of American voters know nothing of The Magnitsky Act. John Batchelor and Aaron Klein slowly nod in agreement. The meeting was a setup. It was a ploy designed to create the appearance of the Trump Team in collusion with Russians. It worked. The members of the Trump Team have been lured into a honeytrap. It's classic espionage tradecraft. They were baited with something literally too tantalizing to resist. This offering was switched to something meaningless and of no value to Team Trump. Sadly, Team Trump's realization of this ruse came too late. They just colluded with Russians. John Batchelor and Aaron Klein share a glance. There is a question in it. The question is: "Who put Goldstone up to sending that email?" It's March 4, 2018 and we are in Salsbury with John Batchelor and Gregory Copley. Sergei Skripal and his daugher Yulia Skripal are driving to have lunch. Yulia arrived from Moscow the day before. They have some catching up to do. We follow the Skripals as they drive into Salsbury's city center. We are Watchers. Sergei Skripal is a man to be watched. We watch Skripal and his daughter Yulia park their car. They enter Bishops Mill Pub for drinks. 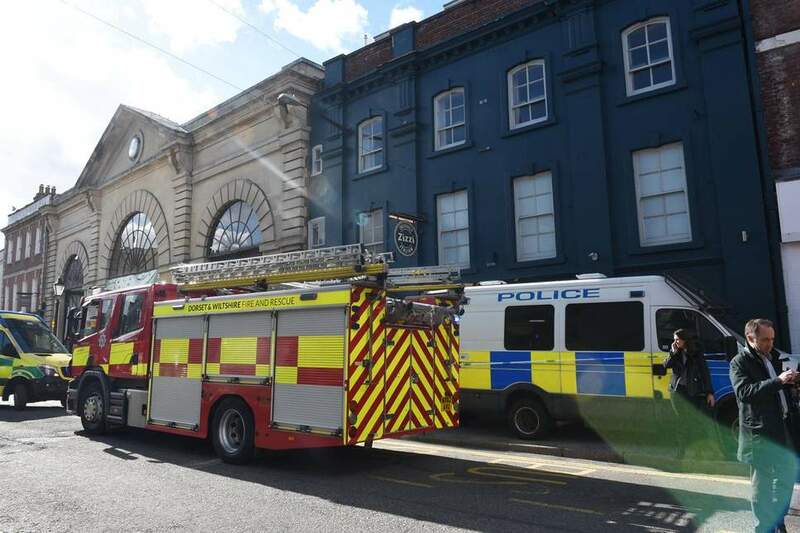 Forty minutes later, at approximately 12:20pm they arrive at Zizzi Restaurant, a popular pizzeria. Sergei and Yulia leave Zizzi at 3:35pm. We follow Skripal and his daughter as they walk and talk. They find a park bench and sit down. We continue to watch as other park goers pass the pair. Moments later, the Skripals appear, more or less, to be napping. However, a short time later, a pair of pedestrians, later identified as a doctor and a nurse observe the Skripals. They are alarmed by they see. The Skripals are slumped on the park bench. 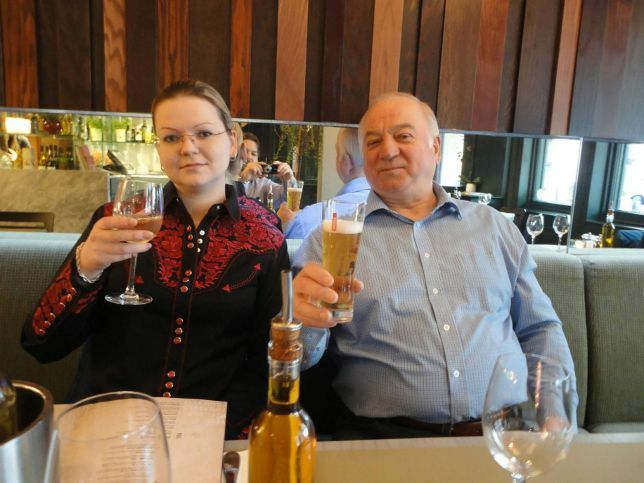 Sergei Skripal, 66, and his daughter Yulia, 33, are semiconscious. Their eyes are open and they are foaming at the mouth. "the package has been delivered"
is sent. Acknowledgment isn't forthcoming. It isn't necessary. Sergei Skripal and his daughter Yulia have been exposed to the deadly Novichok nerve agent. If all goes according to plan, Sergei Skripal will be dead soon. His daughter Yulia is collateral damage. The timing of her visit was an unfortunate coincidence. We melt away. 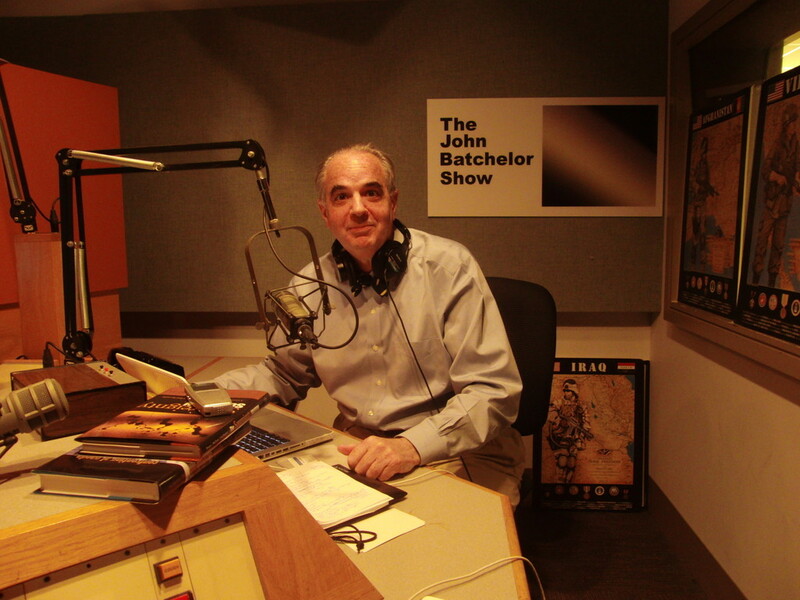 These are just a few examples of what distinguishes John Batchelor Show from all others. He doesn't bring you the story. He takes you there.